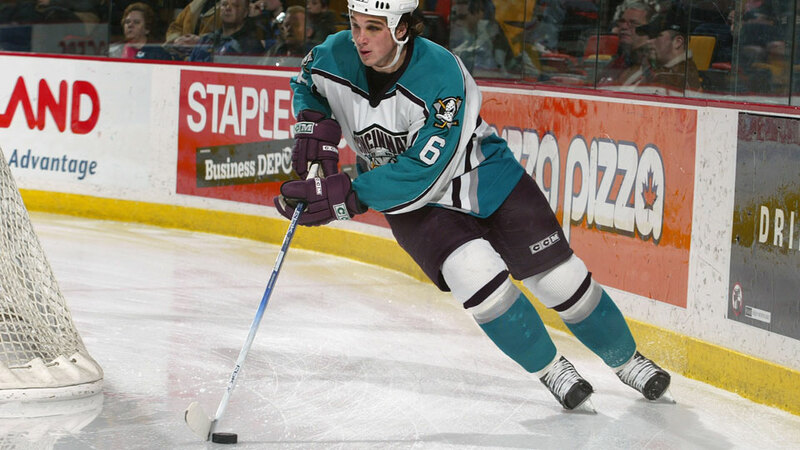 As a native of Port Hope, Ontario - home of antiques and relic homes - Shane O'Brien grew up along the shores of Lake Ontario and playing hockey in his backyard. At just 26 years old, O'Brien still has a long road ahead of him but his journey to get to the NHL already has endless stories of triumph and challenges. It wasn't easy and he hasn't forgotten the tough hurdles he had to jump to make his dream come true. 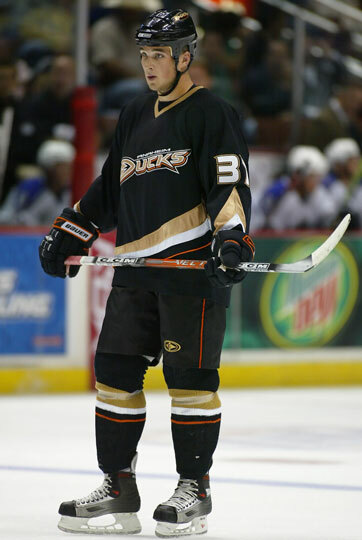 O'Brien got his shot at the big league with the Anaheim Ducks in 2006 and traveled east to the Tampa Bay Lightning before settling into Vancouver for the past two seasons. But even before these teams, there were the ones that led him here. O'Brien shares his tales on his road to the NHL. I was probably three years old. I don’t really remember but my parents have some videos of me when I was younger skating on the ice. Every now and then they’ll turn it on when I come over to visit just for some laughs. I started very young and my parents were there to help me every step of the way so I was definitely lucky. I started off as a forward and all I would do is play hockey or I was on the ice. When you focus on that, maybe more than school, you get pretty good at it so it was fun and I was pretty good. From what my mom and dad say but mainly my dad and maybe it’s a little bias but right away he put me out there, I was pretty good. I’m sure I fell a few times but I was a natural (at least that’s my parents have said). I played House League in Port Hope but my first in novice were the Port Hope Redmen. I was maybe 7 or 8 and I was a forward with them. 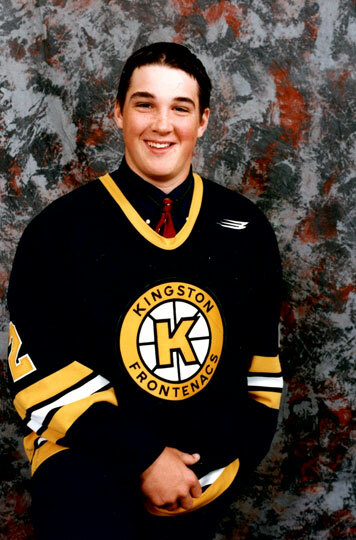 I was forward up until peewee (at around age 14 or 15), my coach moved me back to defence and I never looked back. I was a little bit bigger than the other kids at that age so I just think that was the main reason. We had a lot of forwards that year and he wanted me on the team and he asked me if I would play defence and I said I would give it a try and it worked out pretty well. What was your favourite moment with them? We had a tournament in Port Hope and my dad was a coach then. I had a couple goals already that game and I had a chance where I could’ve passed it and I didn’t pass it, I came off and he yelled at me. So the next shift, I went out and passed it to the guy - he had a wide open net and missed it. I came back and kind of mouthed off to my dad and he benched me. The game went into overtime and the assistant coach put me back in and I scored the OT winner. It was kind of funny - me and my dad still joke about it. What can you tell us about this photo (pictured left)? That’s the Port Hope Redmen. I had a lot of baby fat then. You can notice the C - a natural leader. Why were you named the captain? I think they just named the best player back then and I think I was the best player (laughs). My parents tell me that when I was a kid, I was always playing hockey and I just loved it. Like every small town in Canada, I had a lot of good friends and good times playing. Me and my neighbour, we had a big outdoor rink - it was two backyards. We always had some great games. I’d probably have to say it was my first NHL game. I was in Anaheim and it was against LA. I was very nervous. I was talking to my parents that day and they were so fired up and my buddies were texting me and calling me. It’s just one of those feelings that you just can’t put into words - it was a very special day. Who was your hockey hero? I was a big Wendel Clark fan so I’ll go with Wendel and Dougie Gilmour because I was a big Leafs fan. I liked the way Wendel played - he played hard, fought and was a good scorer. And Dougie was maybe not as much a fighter but he played hard and for a small guy he did well and they were both captains for the Leafs. I don’t know if there’s one thing my dad or my mom ever told me but I’ve always had good advice about control what you can control and if you work hard, good things will happen. My parents supported me every step of the way and I was lucky. I’d say it’s a lot of hard work with a lot of ups and downs. It’s not going to as smoothly as you think and the days that are good, enjoy them and the days that are bad, try to forget about them and move forward. I was an eighth round pick so coming form the minors, I had a lot of great times and met a lot of great people but it was tough. I fought a lot back then, just to stay in the lineup and stay in the League but the one thing about fighting is that it allows you to practice with good players. If you’re in the League, you get to keep getting better and stay in the League. It was all hard, there was nothing easy about it but it was also a lot of fun along the way. I think that’s one of the hardest things about the NHL is once you believe you belong, you play better. It probably took me about half a year or maybe more than that before I felt that I belonged.